Joe Gomez back in training. After starting against Porto at Anfield, Lovren was left out of the travelling squad for the second leg in Portugal after suffering with a bout of illness. "Dejan is ill. He had a bad night, the Doc was there and he had no chance to travel. That is the reason for that." The playmaker missed Liverpool's recent clashes with Southampton, Porto and Chelsea with an unspecified knock but was named in the travelling squad for the Champions League quarter-final second leg in Portugal. "Adam is back in the travelling squad, we have to say. Because we have two players more, we will see what happens. Usually if nothing happens, it would be a little bit too early. But it was very positive, it was quick. “But we have to see, you are I don’t know how many kilometres away from home and you cannot make quick decisions on matchday and say, ‘OK, we bring him in.’ We need to be prepared as well as possible and that’s why we have him in the squad." The Reds skipper limped off against Chelsea with an ankle injury but was still included in Liverpool's travelling squad for their Champions League quarter-final second leg against Porto. "Hendo is all fine. The other players are all fine, that’s really good. Nothing happened. We all have knocks and Hendo got a knock, but that would never take him out." Joe Gomez is closing in on a return after he underwent successful surgery having suffered a setback on the fractured leg he suffered during Liverpool's win over Burnley back in December. The defender is available for selection and was named on the bench for the Champions League quarter-final first leg against Porto, before completing an hour for Liverpool Under-23s against Leicester City. However, Jurgen Klopp is unwilling to rush the defender back while he's short on fitness. "It's better for Joe to have more sessions. If we have enough we shouldn't think about Joe for next one or two weeks." Following nearly a year on the sidelines after suffering an ACL injury against AS Roma last season, the midfielder has recovered from the setback that cut short his return for Liverpool Under-23s against Derby County. 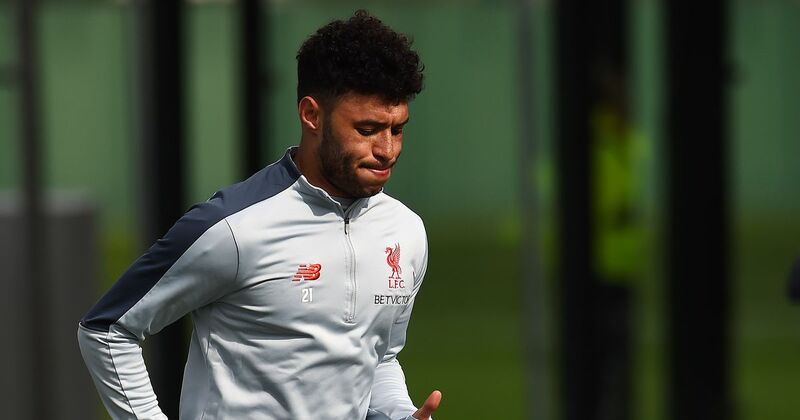 Limping off with a hamstring injury, Oxlade-Chamberlain returned to play 45 minutes for Liverpool Under-23s against Leicester City. However, the goalkeeper is unwilling to rush the England international back following such a lengthy spell on the sidelines. "Ox is not (travelling), it makes more sense for him to train here. However much we all love having Ox around, it makes absolute sense for him that he stays here. “Today he has a lower [intensity] day and tomorrow a high-intensity day. It’s all about him in the long-term, that’s what we have to consider first."